John Howell: John is currently in hospice care in Shelby, NC. He served on Tiru from '71 to '75 as an EM. He just saw the reunion notification on website. Don Mandrino contacted him and sent him a reunion shirt and hat and John would very much like anyone from the boat to call him or visit. Please call or email Don or Webmaster for phone number. Bob Schmitt: TM3(SS) Schmitt died 2 February 2019. He served on the Tiru 1963-1965 and was active in Tiru's reunion activities. Obituary is in the Memorial section of the website. 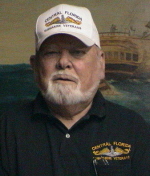 Charles S. Fury: MMC(SS) Fury died 31 January 2018. He served on the Tiru during 1975 and was active in Tiru's reunion activities. Obituary is in the Memorial section of the website. Silent Service TV Series (1950's): now available on YouTube (www.youtube.com/watch?v=g1nESHgqAnY) Great Memories for us old guys. Thanks much for the info - Nelson Greer (Tiru '66-'70). Allan F. Simmons, Jr: TM2 Simmons (Easy Al) died 6 April 2018. He served on Tiru from Feb 1963 to Oct 1964. Services were held on 13 April, at Rosser Funeral Home, Cleburne, Texas. Edward W. Simpson: TM2 Simpson died 10 Oct 17 in Temperance, Michigan. A gathering will be from 11:00 am - 1:00 pm, Saturday, October 21, 2017, at the Michael W. Pawlak Funeral Home, 1640 Smith Rd. (at Jackman) Temperance, MI, where the Masonic Lodge, #438, F.&A.M., will hold services at 1:00 pm. Louise Tricker: Wife of Mike Tricker died on 12 Sep 17. Submarine DVD: "Submariners: The Men of the Silent Service - From Diesel to Nuclear" released 13 Feb 17 in 2 volume DVD. See www.SubmarineDocumentary.com. Reunion 2017: Is planned for September in Texas. See 2017 Reunion section for details. Captain David Thaxton: Lieutenant Thaxton died on 26 January 2017. He served on the USS Tiru as Navigation/Operations officer from about 1969 to 1971. Additional information is available in the Memorial Section. John Peregoy: TM2(SS) Peregoy died in July 2016, he served on Tiru from 29 January1960 through 26 April 1964. John was an active member of the Tiru Association. Ben Cross: Chief Machinist Mate George Cross of Kealakekua, died 24 November 2016. Chief Cross served on Tiru from 24 January 1964 through 29 January 1968. Neal Chaves: I just received and viewed a terrific new documentary "Submariners - The Men of the Silent Service" by Tony Rollo. This film will be released nation-wide as a theatrical version, but this one is a two disc collector set with many extras. A must see! 1969. Rest your oars Dad. Tiru History Request: Dr. Ian Pfennigwerth, Royal Australian Navy (ret) is writing a history of the Australian Navy and is requesting any photos any of us have of Dr. Sakker (RAN)'s arrival/aboard Tiru or other photos when Tiru was visiting Frederickson's reef in November 1966. Please inform the webmaster if you can provide. Frank R. Hood: FTC(SS) died on 04 October 2015. He served on Tiru from 20Aug58 to 16Jul60. Ricky Don Grove: Radioman on USS Tiru, Oct 68-Dec 71, died on 11 October 2012 in Huntington, West Virginia. Details to follow. Last February an Eternal Patrol notice was sent out to members of the Groton Base regarding the passing of Gerald F. Tighe QMC(SS). It was mentioned at that time that a remembrance service would be held later this year. Gerald had served on the USS Archerfish SSN 678. A reunion for the Archerfish is scheduled for the weekend of 9 - 11 October 2015. So...with that thought an Honor Detail request is hereby requested for Gerald. For those who can be present at 1730 at the WWII Memorial East on the 9th, please do so. In case of bad weather, we may retreat to the dining area at the clubhouse. For those Honor Detail members who can attend, uniform will be long sleeve white shirts, black tie, pants and Vest and garrison caps. Members will muster at 1715, we will go on at about 1730. Don Mandrino: I just finish reading this novel and I don’t read a lot. But from the time I started I couldn’t put it down,It kept my interest all the way to the end. It‘s called The Trident Deception by Rick Campbell, he has donated his book and some book markers to our Tiru Reunion for a door prize. He a retired Sub Captain and we all can relate to some of the things in that book. He has come out with another book called Empire Rising which I’m going to get. So Please sent this out to all our shipmates if they want something to read about the sub days. I would say it’s between the Hunt for Red October and Crimson Tide. Gerald (Jerry) Tighe: retired QMC, died 7 Feb 2015 in Watertown, Connecticut. 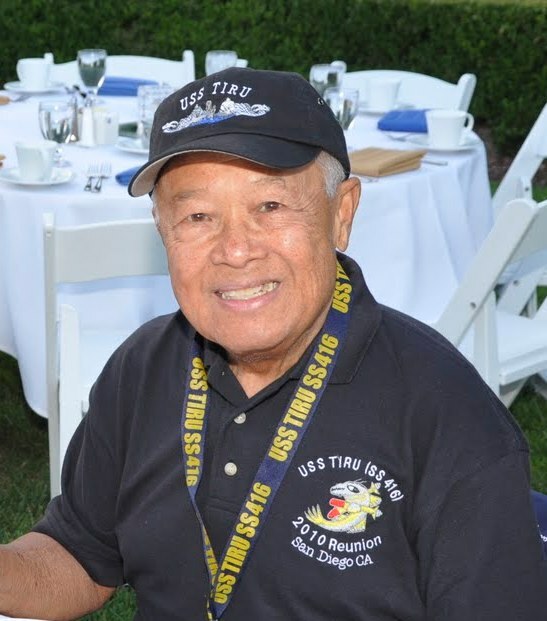 Jerry qualified in submarines on USS Tiru SS416, and was active in the Tiru Association. Arrangements are with the Hart & Bruce Funeral Home. A memorial service will be held in the May time frame. It is with a very heavy heart that I have to tell you of Fred's passing on Thursday, Jan. 15. He was on the dial-a-ride bus on his way to his regular dialysis appointment on Wednesday when his heart stopped. Paramedics were called and he was taken to the hospital. An officer of the Whittier Police woke me at 7:30 am to give me the news. Later that day tests revealed that Fred had suffered brain damage due to oxygen deprivation. He was kept on the respirator so that Emlyn and Owen would have time to travel home from Chicago and Fresno to be with him. He did hang on and we were all able to say our goodbyes. His sister Denise was with us both days and at the end. Friends and family have been surrounding us with love and prayers over the last several days. We have been telling "Fred" stories every time we gather with friends. His memorial service will be on Saturday, February 28, 2 pm at St. Matthias Episcopal Church, 7056 Washington Ave., Whittier. The 42nd Black Watch Highland Society will provide the honor guard and the Welsh Choir of Southern California and the UC Riverside pipe band members will provide much of the music. Fred has been a member of the Black Watch and the Welsh Choir each for over 15 years and they have been a huge part of our lives during that time. Our son Owen is the drum major for the UCR pipe band and when he enquired about a piper for the service, more than one stepped forward. The Navy will present the flag to the family. We intend for this to be a celebration of Fred's life and loves. Any and all who can be present in person are welcome. Those who cannot be physically present will be with us in spirit. William Lou House, age 84 of Oviedo, passed away Sunday, January 18, 2015. He was born August 9, 1930 in Atlanta, Georgia. A gathering will be held on Monday, February 2, 2015 from 10-11 AM with a memorial service beginning at 11 AM at Baldwin Fairchild Funeral Home, Oviedo Chapel. Inurnment will follow at Florida National Cemetery. Captain Marvin Smith Blair: died 4 November 2014. He served on Tiru from January 1950 to June 1953. Photos: Grant Harrington ('68-'73) has supplied us with over 100 great photos. They are posted in a rough unsorted format so that you will not have to wait on the webmaster to sort & post them correctly. The file is very large and it may take a long while for them to download. The photos will probably not download in order the first time viewing. Best suggestion is to have a cup of coffee or two or three while downloading. Practice patience! If you have trouble downloading please let webmaster know. Many thanks to Grant for all the efforts he made in scanning and locating the photos. Any names for the guys will be appreciated. Moore, Barbara: died Saturday, 10 May 2014, wife of Robert (Skip) Moore. Arrangements by LowCountry Cremation and Burial Services of North Charleston. Richard N. Wood: received your registration, would like to contact former shipmates. Details in Shipmates section. GALLAGHER, Virginia Maureen: 89, of Mount Pleasant, died Wednesday. A kindergarten teacher and widow of John J. Gallagher and mother of Maureen Sharon (Jim's Wife). The funeral is Tuesday, 10 am at Stella Maris on Sullivan's island. Arrangements by McAlister-Smith's Mount Pleasant Chapel. FTCS (SS) Thomas McGriff: died on 12 February 2014 in Texas. He served on Tiru from October 1959 until August 1961 as an FT3. Chief McGriff was interned in the DFW National Cemetery on 21 February. Obituary will be posted. EMCM (SS) Samual D Mitchell: died 4 February 2014 in Wenatchee, Washington. He served on Tiru from April 1952 until August 1953. Celebration of life will be held in the near future. In lieu of flowers, donations may be made to the Relay for Life "Sam's Team" in care of Key Banks, 102 S. Wenatchee Ave, Wenatchee, WA, 98801. Ever a Submariner: a must read essay on submarine life by Jody Durham has been posted in the Miscellaneous section of the website. Fernando Briones: died Saturday 9 November 2013. Fernando served on Tiru in the late 70's until decommissioning as a Mess Management Specialist Second Class. Funeral services at 11am on 14 November 2013 in Parks Funeral Home Chapel, 130 W 1st North Street, Summerville, SC, 29483. Flowers accepted. Financial Statements: 2012 and proposed 2013 posted in Association section. Roberto (Bob) Medina: died Wednesday 14 August 2013. He served on USS Tiru from December 1968 to August 1970 as Ship's Yeoman. Viewings: 25-26 August. Mass: 27 August. Burial Miramar National Cemetery San Diego: 28 August. Brisbane Dry Dock Photos: Photos of History of Brisbane Dry Dock posted by the Queensland Maritime Museum on Facebook. Tiru visited dry dock in 1966. Tiru Website Memorial Sections: Has been under repairs for the past couple of months to increase its usability on different web browsers. It should now be functional on Internet Explorer, Firefox, and Google Chrome. Please notify webmaster (webmaster(at)usstiru.org) of any functional and factual problems. USS Thresher SSN 593: Commemorated in the Congressional Record on the upcoming 50th anniversary of it being lost at sea with all hands on 10 April 1963. At least one ex-Tiru sailor was aboard, Michael Dinola. We had the privilege to have his wife Edna as guest speaker at our 2005 reunion. Eleanor Fifield: wife of RM1 Fiefield died 28 January 2003. No formal services planned. James Palmer Sr: died last Thursday 10 January 2013. Jim was a strong supporter of the Tiru Association. He will be dearly missed at our reunions. 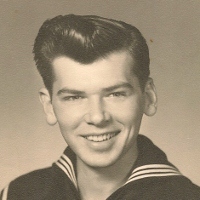 There will be a graveside service at Pachuag Cemetery, Griswold, CT, next Saturday (19 January 2013) at 1100 followed by a celebration of his life at the VFW, Taylor Hill in Jewett City, CT. Jim served on the USS Tiru from 1953 to 1954. Association Minutes: 2011 & 2012 have been posted in the Association Section of the website. Walter E. Tubbs, Jr.: Died 12 May 2012. Served on Tiru 1953 and in attendance at the 2004 and 2005 Tiru Reunions. Burial plans pending. Norman M. Cobb: World War II & Korean War submariner, died 8 May 2012. After being recalled to active duty, Norman served on Tiru 1956 to 1959. He has been buried at the Willamette National Cemetery, Oregon. Thomas Lee: EN2(SS), Tiru 1964 to 1968, died on 25 April 2012 and has been buried at the Missouri Veterans Cemetery. Details will follow. Website Outage: www.usstiru.org was off line part of 15 Mar 2012 due to a "Denial of Service Attack" against our host server. Believe all is back to normal. Videos: Old 8mm films have been converted to digital and are being posted on the website as processed. Contributed by Dewey Cardwell. Senior Chief Electronic Technician Ted Taylor, USN (ret): died4 September 2011 at his home in Renton, Washington. Chief Taylor joined the Navy in 1946 and qualified in submarines aboard the USS Carbonero in 1948. He served on many submarines, including the USS Tiru as a plank owner (1948-9). His support of the Tiru Association has been appreciated. Reunion Photos: Some new photos from Frank Mennel and Tom Scott have been posted. We have many more photos for which there is not enough room on the website to post. If anyone would like a DVD with the complete 2011 reunion photos - contact the webmaster (webmaster(at)usstiru.org). Financials: 2011 Reunion and 2011 Association financials have been posted in the Association section. 1966 Westpac Photos: New photos have been posted, thanks to Art Steinke. 2011 Reunion: Photos continue to be posted. Louise Tricker: Status reports on Louise's health are posted in the password protected section of the website. USS North Carolina SSN 777: A link to photos of interior of this Virginia class SSN are posted in the LINKS section of Tiru's website. 1966 Grounding: New photos from Commodore Sloper, RAN, and narrative from Commander Linton, RAN, have been posted in the Chronological History Section of the website. Photos Reunion 2010: Are slowly being posted on website. New photos added 5 Sep. Please notify webmaster if any in wrong section. Association Information: The minutes and financial statement from the last crew meeting are posted in the Tiru Association section of the website. Captain Henry Cappello: Commanding Officer of USS Tiru SS416 from June 1952 until June 1954 died on 18 July 2010. 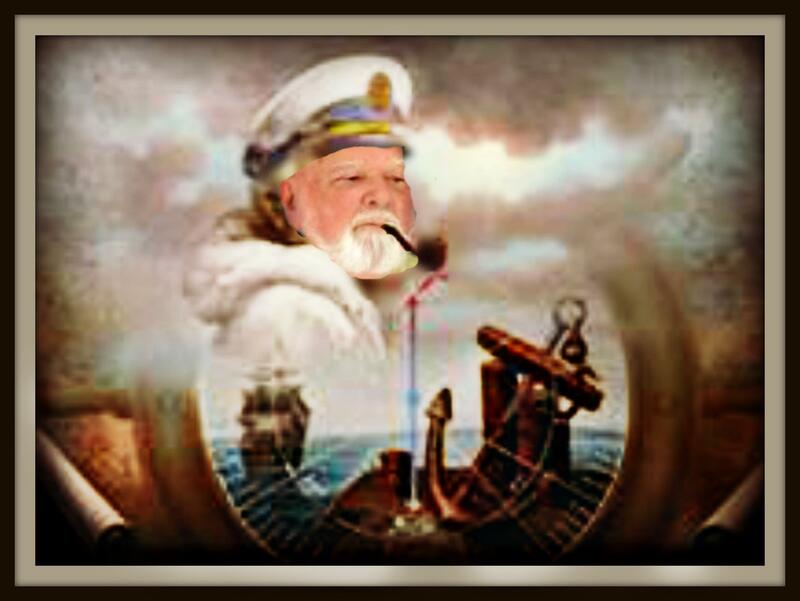 Captain Cappello will be buried at sea. A memorial service will be held 6 August 2010 at 11 am at the Falling Waters Club House of the Falling Waters community, 7200 Davis Blvd, Naples, Florida. 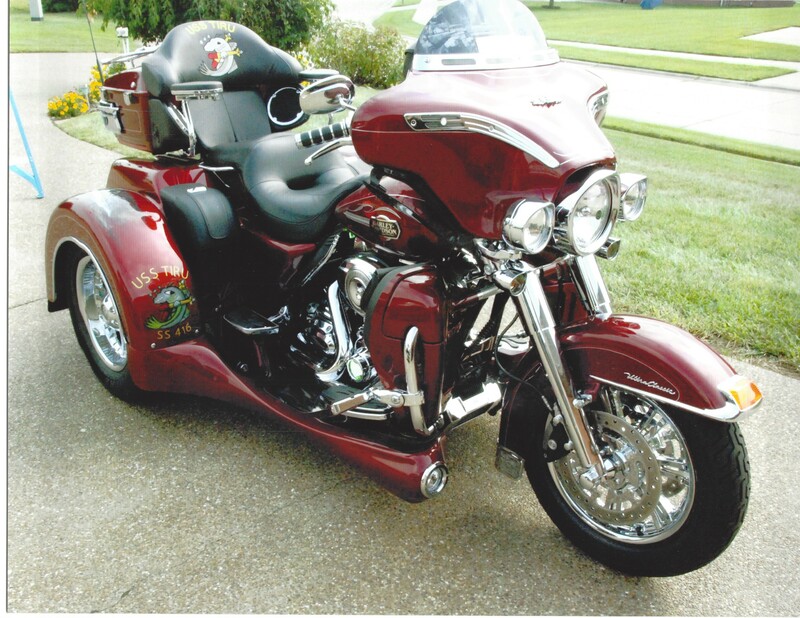 Memorial contributions may be made to the American Heart Association or to a charity of the donor's choice. Senior Chief John D. Williams: Chief Engineman on Tiru from Mar 64 to Oct 68, died on 25 June 2010 in Maui, Hawaii. Service will be held at Ballard Family Mortuary, Kahului, Hawaii, on Friday 2 July 2010. Chief Williams will be buried at sea. Accounts 2009 Reunion: have been posted in the Association section of the website (password required). Mike Stuffle: died 21 December 2009 in Charleston, South Carolina. Mike was a TM1(SS) and served on Tiru from Nov 73 to Jul 75. He is expected to be cremated and buried at sea. Tentatively a memorial service is planned for Monday 11 January. Details will be posted when available. 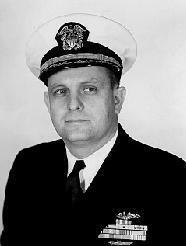 Captain Bradford S. Granum, USN (ret): former XO on Tiru (Jun 60 - Jul 61) died 20 June 2009. His funeral will be at Arlington National Cemetery on Thursday, 29 October 2009 at 1100. Attendees please meet at the Administration Building at 1030. Donations may be made in his name to the American Kidney Fund, PO Box 1837, Merrifield, VA 22116 or the Naval Academy Foundation, 291 Wood Road, Beach Hall, Annapolis, MD 21402. Tiru's Grounding 1966: Received emails from Kev Peacock regarding the 1966 grounding. He manned the liferaft that was used to bring the doctor from the HMAS Vendetta to USS Tiru. Submarine Memorial Dedication Ceremony: Will be held at the Veterans National Cemetery in Canton, Georgia on Sunday, 11 April 2010 at 1400. Details will be posted when received.